Taiwanese smartphone manufacturer HTC has launched a new compact HTC One Mini 2, featuring a 13MP camera (no UltraPixel sensor), 5MP front-facing camera, 4.5″ HD display, HTC Sense 6 with BlinkFeed (news feed), and BoomSound. 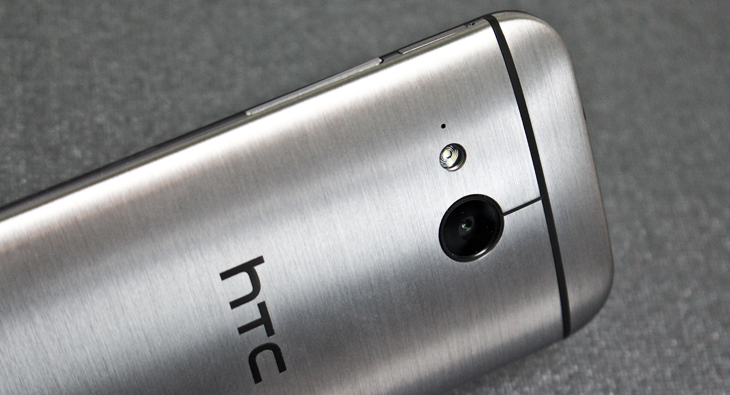 It comes equipped with the very same amplifier that ships with the HTC One (M8). Following in the wake of the recently announced HTC One (M8), the successor to its flagship HTC One, the HTC One Mini 2 is essentially a more compact incarnation for those on a budget. And it’s interesting to note that HTC has decided not to go with the HTC One M8 Mini for its name here. Available in gunmetal gray, glacial silver and amber gold, the HTC One Mini 2 sports a curved back similar to the original HTC One. And the 5MP front-facing camera is notable too, and is the same grade as its bigger brother – it’s impossible to escape the word ‘selfie’ here. The device will be available from this summer, though no exact dates or prices have been confirmed yet.